A Libor mortgage is an adjustable rate mortgage (ARM) on which the interest rate is tied to a specified London Inter Bank Offering Rate (LIBOR) - an average of the interest rate on dollar-denominated deposits, traded between banks in London. There are several different LIBOR rates widely used as ARM indexes: 1-, 3-, 6-Month, and 1-Year LIBOR. The 6-Month LIBOR is the most common. LIBOR ARMs offer borrowers aggressive initial rates (lower than many other ARMs) and has proved to be competitive with such popular ARM indexes as the 11th District Cost of Funds, the 6-Month Treasury Bill, and the 6-Month Certificate of Deposit. After an initial period during which the rate is fixed, the LIBOR mortgage is adjusted to the most recent value of the Libor index plus a margin. Your first step should be to run the numbers on our web site to get an idea about LIBOR and other ARM loans, quote rates and closing costs. 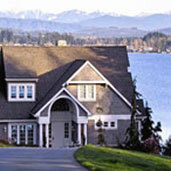 Then, use our network of lenders and expert mortgage specialists to find the best loan for your property.